Newborns sleep almost all the time. Toddlers and kids still sleep longer than adults too because of their developing brains and bodies. But over time, sleeping hours of a person lessens until adulthood where responsibilities are plenty but lacking on sleep and rest. Our sleeping patterns also change with aging. 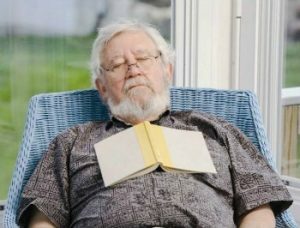 Older people find it harder to sleep as they age and often wake up during the night or in the wee hours of the morning. The elderly are often known as light sleepers with an average of 6.5 hours sleep at night. Their sleep is often devoid of dreams and lacking in deep sleep that is the best part of sleeping in terms of quality and the health benefits you can get from it. Nocturia or excessive urination at night are also common problems experienced by older adults that have a big impact on the quantity and quality of their sleep. It is generally accepted that people in middle age and beyond sleep about 1 hour less due to biological changes (not because they are super busy). The 1-hour sleep loss is considered natural and not unhealthy, says Judith E. Carroll, a psychiatrist who researches neuroscience and human behavior at the University of California, Los Angeles. However, restorative sleep tends to decline with age. “The important point is that the overall need for quality sleep — deep sleep — is thought to remain, even though it is increasingly hard to get as the body ages,” Carroll says. People spend less time in deep non-REM slumber, also called Delta sleep, which is a time for memory consolidation and the brain’s clearing of protein waste (including amyloid beta, linked to Alzheimer’s disease). Delta sleep restores people mentally and physiologically. Sleeping does a lot of strange things to the body, especially for the younger generations. Unfortunately, the elderly don’t get to enjoy sleep as much as the younger ones even though they have more time on their hands now that they’re retired or out of work. The elderly have gone through so much in life and all these changes both good and bad can wreak havoc with their sleep. Even the different medications they take can also mess with their sleeping patterns. However, sleeping less in your older age isn’t really a problem at all if you still feel refreshed and energized upon waking up. It simply means that your sleeping requirements have changed and you can make do with 6-7 hours of sleep now than you did in the past. The elderly need to go see a health provider, though, if they suffer from other sleep-related disorders like insomnia or sleep apnea and the annoying snoring that accompanies it because their health will further deteriorate if these issues are not addressed. While surgery is no longer an option for conditions like this among older people because of the risks involved, there are still other solutions to address sleep apnea, for instance. Anti-snoring gadgets like https://snoringmouthpiecereview.org/zquiet can offer relief as well as https://snoringmouthpiecereview.org/snorerx that are non-invasive but addresses the problem especially the snoring and breathing pauses that may exacerbate other pre-existing health conditions. 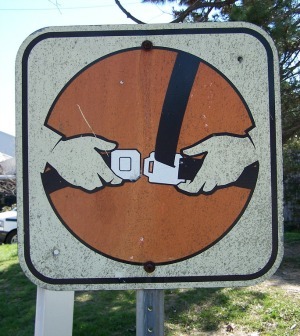 When It’s Time to Sleep… Buckle Up? 2breathe Technologies Ltd., a pioneer in developing digital therapeutic devices, today announced that 2breathe™, a new smart, connected device tackling sleeplessness via a patented guided-breathing technology, is now publicly available. The new product, will be showcased at Israel’s premier health and life sciences industry event IATI-BIOMED on May 26, 2016. 2breathe broadly-patented technology grew out of a FDA-cleared device for non-drug treatment of hypertension and stress, RESPeRATE, used by hundreds of thousands of doctors and patients. RESPeRATE’s one “side effect” was that users reported dozing off during the session and improved sleep. The Company adapted the technology for smartphones and created the 2breathe platform to induce sleep. 2breathe uses smart, connected technology to deliver the ancient wisdom of sleep-inducing breathing exercises in an easy and effective manner. A sensor worn around the torso picks up the user’s inhale and exhale movements sending it to an iOS app via low energy Bluetooth. The app transforms, in real time, the breathing into tones that gradually guide the user to prolonged exhalation and slow breathing. Within minutes, neural sympathetic activity is reduced, the user begins to disassociate from both external and internal stimuli, and the mind and body relax into sleep. Once sleep is detected, 2breathe automatically shuts off and generates a report showing the falling asleep process breath-by-breath. 2breathe was recently introduced to the Japanese market by Teijin, Japan’s largest sleep provider and is now available to consumers for $179.95 directly at www.2breathe.com. This brings new meaning to being snug and tight in your bed. The only major downside might be to those who sleep on their stomachs. Having the buckle right under your ribs and crushed under your body weight may have some impact on how the product works. If you otherwise suffer from sleep disorders like insomnia, this relatively natural way to fall asleep without the use of medication might be just what you need. It’s interesting that it induces sleep and one can’t help but wonder the effect it may have on those who snore. For bedroom technology this is definitely something to keep an eye one. When It Comes To Snoring Devices, Be Careful! What can I say? We live in a world where you have to watch out for scams. There are con-men (and ladies) out there that are trying to get every last dollar with their snake oils and wild claims. Heck, there is a president of the USA that has played one of the largest con games in the history of US politics who plans to sleep his way through his presidency, hire Nazis for his cabinet, and give the entire economy away to corporate interests (not so sure that Hillary wouldn’t, but that’s another matter). Lindell claims that the pillow is a cure-all for almost any sleep problem. Whether it’s snoring, sleep apnea, tossing and turning, waking up in pain— they can be solved with MyPillow. Court documents produced by TruthInAdvertising.org list the problems MyPillow claims to cure without sufficient proof, which includes but is not limited to, TMJ, insomnia, snoring, fibromyalgia, and Restless Leg Syndrome. They also assert that MyPillow does not clearly state that their National Sleep Foundation endorsement is not completely based on the merit of the pillow, but appears to be paid for. Ha! Not a shock, friends. 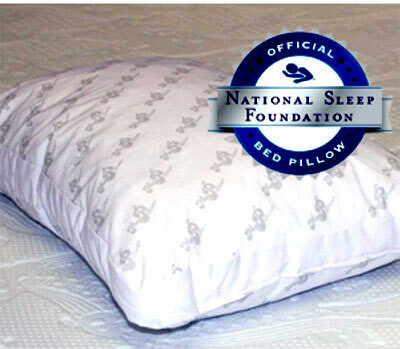 The National Sleep Foundation may be accepting bribes in order to put their stamp on things? We’re shocked! This coming from a “foundation” that boasts one of the worst snoring mouthpiece pages in the history of the Internet? Yes. Of course. I’m not entirely sure why people would be surprised. It’s not as if the NSF is an organization known for it’s honesty, after all. So how is a pillow going to help with a jaw problem? That’s just clinically insane. Now, only the most gullible of all pillow purchasers will assume that a pillow can cure something to do with their jaw structures, but this is truly hilarious. The fact that another of the claims on the manufacturer’s website is that the MyPillow actually stops snoring is absolutely ridiculous as well. Now, I will admit that not all people want to use a mandibular advancing mouth guard like the ZQuiet, as an example, but there actually is an alternative to these mouthpieces. I am speaking of the Good Morning Snore Solution (link), of course, which does not have the same rigid construction nor discomfort issues that a MAD mouthpiece can have. TMJ sufferers that use the GMSS have also offered solid testimonials in its favor – basically because it is the only mouthpiece of its kind, and really does not affect the positioning of one’s jaw. Snoring Scams Are Out There – Watch Out! Now, it’s unlikely you’ve been a victim of a snoring scam, but it is important to be very, very diligent when researching these types of advice. I can give some real credit for the State Of California for going after the MyPillow scamsters, because it really doesn’t happen as much as it should. So stay aware, people. And if you have a snoring issue, just use a mouthpiece! Say Ah: What’s in Your Mouth? Snoring is a common sleep disorder although many just brush it off. Some people think snoring is caused solely by eating or drinking too much before bed, sleeping on your back or being sick. While these can contribute to snoring, the fact of the matter is that there are physical components of snoring. While you sleep your whole body relaxes, right? The means more than just your mind; your muscles relax as well. When the muscles in your mouth and throat relax they can cause your tongue to fall to the back of your throat and block your airways. 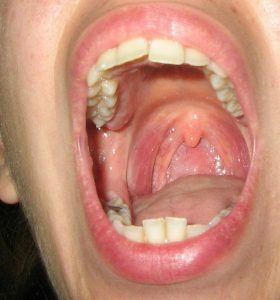 Enlarged uvula can lead to snoring and obstructive sleep apnea. Among normal adults, 45 percent are occasional snorers and 25 percent are habitual snorers. Most commonly seen in males, snoring may be a result of an obstruction, so it should be considered a serious symptom to address with your doctor. There are numerous causes for snoring, including poor muscle tone of the tongue and throat, excessive bulkiness of throat tissue, long soft palate or uvula, or obstructed nasal airways. Snoring can result in a health condition known as obstructive sleep apnea (OSA), which is when a person stops breathing numerous times throughout the night. Being overweight or having high blood pressure can contribute to OSA, but another common cause is an enlarged uvula, the dangling piece of flesh at the back of the mouth. The role of uvula is not fully understood, but its possible functions are assisting with speech formation and production of saliva. Inflamed or swollen uvula is the main symptom of a health condition uvulitis, which can contribute to sleep apnea. If the uvula becomes very swollen, it may even reach the tongue, causing an obstruction. Other signs and symptoms of a swollen uvula include redness, as well as difficulty breathing or swallowing. If your uvulitis does lead to sleep apnea, you may also suffer from high blood pressure, daytime headache, constant low energy or fatigue, and weight gain. Treating enlarged uvula and sleep apnea is important for reducing your risk of complications. You should see a doctor for your enlarged uvula if you experience severe pain, difficulty breathing, uneasiness due to lack of oxygen, severe pain or difficulty swallowing, grunting and choking, pus or blood from the uvula, or if you stop breathing throughout the night. Snoring can be a very real indicator that you or someone you love suffers from sleep apnea. The problem with this disease is that it can often go undiagnosed for those who live alone or for those who brush off their snoring issue. It is imperative if you snore, and have continued to do so even after you’ve tried to stop it, that you meet with a health care professional. You may need to undergo testing in a sleep lab to find out if you suffer from sleep apnea. Don’t wait until it’s too late! Can You Afford to Ignore Your Snoring? Unless you live comfortably as a member of the 1%, chances are you are attempting to be financially savvy by implementing a budget and adhering to it. 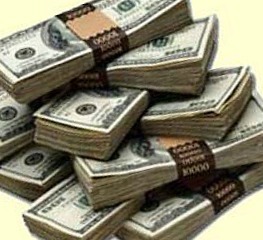 The world costs money and we can only work ourselves to death so often before we really do die in our boots. In order to be ready to put in those long hours either during your commute or at the office you need to make sure you’re getting a good night’s sleep. There are several variables that will impact your sleep health: your stress level, whether or not you consume drugs or alcohol before sleep and your overall sleep health. Many people have unhealthy relationships with their sleep which impacts their productivity during the day. Do you snore? Are you sure? Maybe no one has ever told you that you snore, but you still wake up feeling tired and like you didn’t get a wink at all. ASM (American Academy of Sleep Medicine) declared that 29.4 million of residents in the country are suffering from obstructive sleep apnea. Sadly, only 20% of them know about it. In effect, the country spends $149.6 billion dollars for the treatment and the long term health consequences that results from it. If sleep apnea is not treated, this will significantly reduce the productivity of the individual. Numbers of vehicular accidents will also rise and workplace injuries. Sleep apnea results to daytime sleepiness once untreated. This can be very risky, especially to drivers since they will be prone to road accidents 5 times more than those who don’t have any snoring issues. Hence, they will be more vulnerable to crash on the road. Sleeping with someone who snores can be very irritating. And you can’t just take this for granted since this can be a symptom of a serious medical issue. In U.S., one out of 10 people has this problem which costs the country billions of dollars per year. ‘In sleep apnea, the mouth’s muscles do not work properly. Hence, every short period of time, the person stops breathing’, said Dr. Jennifer Caudle; a family medicine doctor in New Jersey. Sometimes, the person does not even know he has sleep apnea, Caudle said. Not knowing that you have this condition will put you in trouble. Once you stop breathing, you will snore, disrupting your normal sleep pattern. As a result, you will experience sleepiness and fatigue. If left untreated, this results to increased blood pressure, obesity, heart ailment and diabetes. Medical care isn’t cheap and the longer you ignore a problem the worse, and more expensive, it will get. There are simple ways to deal with snoring, if that’s the affliction you suffer from. First and foremost you should meet with a sleep specialist and get yourself tested. You may need a referral from your primary health care provider. Your healthcare provider can also discuss various options with you. A mouthpiece like the ZQuiet (review here) may help alleviate your snoring if that is your issue. Maybe you suffer from a sleep disorder because you have a lot of stress in your life. Or maybe you’re a bit overweight and need help losing the pounds. Whatever the case may be, speaking to a professional and getting some insight and assistance is the first thing that should be on your list. Once you’ve identified the problem, you can work on the solution. The faster you catch it the better off you’ll be. This way you can save your hard earned money for something more gratifying, like that deluxe edition convertible or that expensive pair of shoes. Whatever your guilty pleasure is, wouldn’t it be nice to have a bit more cash to spend on it?